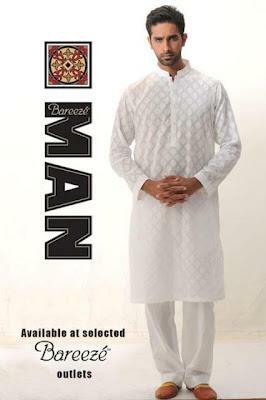 Recently Bareeze Man launched Summer Kurta Salwar Collection for Men. Bareeze Man was founded in 2010. 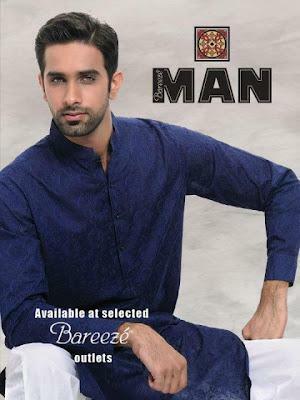 Bareeze Man offering an exclusive range of Men창? ?s Kurta and Shalwar. 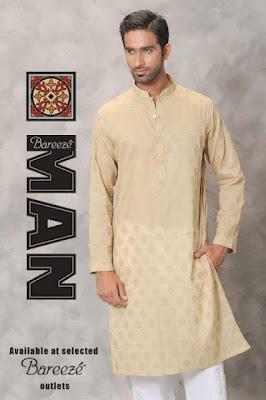 Bareeze MAN collection is for all the men who like to wear Kurta and Shalwar with first rate and straight cuts. The pretty weaving with stunning designs and colors give a new makeover to the coolest mens style. For young guys, embroidered kurta are the best to select for a cold hunk picture, along with the strong persona. Bareeze Man is presenting a contemporary day MAN that absolutely takes pride in his appearance and the epitome of style. 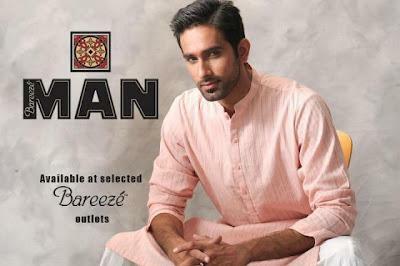 Bareeze used light colors like white, cream, sky blue and gray colors for these Kurta are which are ideal to wear in hot summers. 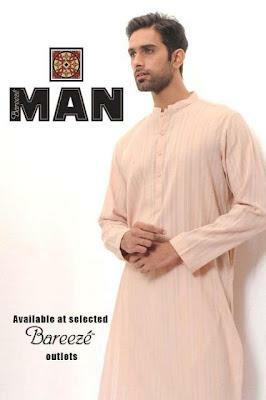 Simple Kurta, Shalwar Kameez are included in this collection. 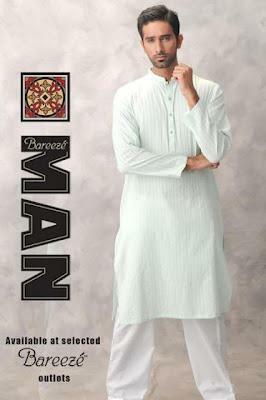 Lets have a glance Summer Kurta Salwar collection 2012 by Bareeze Man.